install the finest cattery and kennel buildings available. Thinking of starting your own boarding business? Download our step-by-step guide today. We have over 200 installations nationwide. Pedigree Pens are the original manufacturer of uPVC catteries and kennels in the UK. 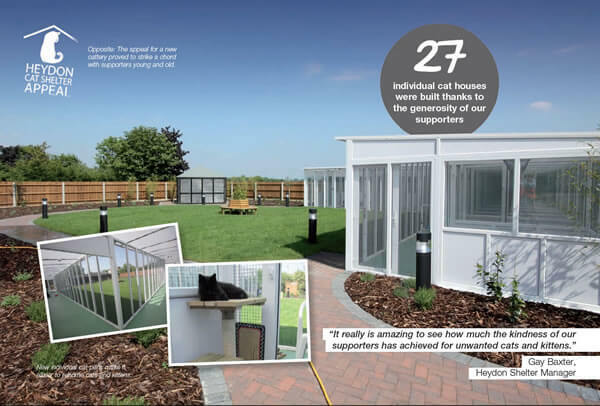 Pedigree Pens pioneered the use of uPVC in Cattery and Kennel design over 20 years ago and have specialised in solely manufacturing catteries and kennels ever since. Pedigree Pens have over 200 installations of catteries and kennels throughout the UK. We specialise in boarding catteries and rescue centres, but also supply to vets, airports and private customers. You can find you nearest Pedigree Pen Cattery in our online cattery directory. Pedigree Pens provides a complete planning service that will give you all the architectural designs and plans you will need to build the perfect cattery. Our plans are optimised for council planning applications and conform with the CIEH model licence guidelines for boarding catteries. If you are thinking of starting a Boarding Cattery then don’t hesitate, Pedigree Pens really are the very best there is. The Pedigree Pens product is simply the best for all concerned. With a bright, hygienic and modern environment, the customers absolutely love it and the cats settle in so well too. Our ten-year-old wooden cat pens..were showing serious signs of their age...they were replaced in October 2014 by a stunning pair of new Pedigree uPVC cat pens. They are light and airy, and are so much easier to keep clean. The cat pens are spacious, warm and clean. What more could a rescued cat ask for? We have received compliment after compliment regarding the cattery and this shows itself in the number of repeat bookings we have. Many thanks to you and your well organised team for once again pulling out the stops and completing Phase III of the cattery build in record time! We are thrilled with the lovely cat pens and they will allow us to provide much needed accommodation for the busy months ahead. Whilst writing I would like to take the opportunity to say how business is going. The cattery that you installed in July 2014 has already covered its costs in less than a year. My customers are amazed at the accommodation and my animal welfare lady who visits twice a year said she had never seen anything quite like it before and increased the number of cats I could board due to the spaciousness. I think I may have mentioned last year but the speed it was built by your 2 workmen, no fuss or bother, less than 2 days, was great. I have since increased my prices and my regular customers are more than happy to pay the extra. Running your own business can be extremely rewarding – especially if it involves spending your day taking care of cats and kittens. 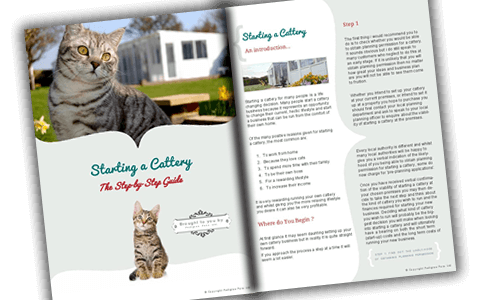 If you are considering converting your garden or plot of land into a cattery, then you should download our guide to starting a cattery. Starting a cattery and managing a PVC boarding cattery must, of course, be cost-effective. Your investment in our accommodation will help you to meet this objective, as these units are designed to be practically maintenance-free and last for a lifetime. We can help you decide which design of PVC pens would be most suitable for your rescue. How many cats do you want to house? What is the shape of your plot? Do you have strong ideas or needs? Will you want to expand in the future? Find out about our other products and services. We offer a range of domestic and breeding pens and office and garden rooms. We also offer a planning and design service. Have a look in more detail at what we can offer. Don’t just take our word for it. See what our customers are saying about our products and services. Pedigree Pens (FirmFix) were one of the original sponsors of the CIEH Model Licence Committee in 1995. You can read more and download a copy of the new guidance here. Need Advice on Starting a Cattery ? © 2019 Pedigree Pens Ltd.